Q-nomy’s Telecom Store Task Management software is a central server solution that assists sales and service reps, as they leave their counters and go out to the store floor, by assigning them tasks triggered by customer activity. Identify high-value prospects in the telecom store. Telecom store channels management and agent management, in one product – no need for systems integration – is a unique, industry leading solution. 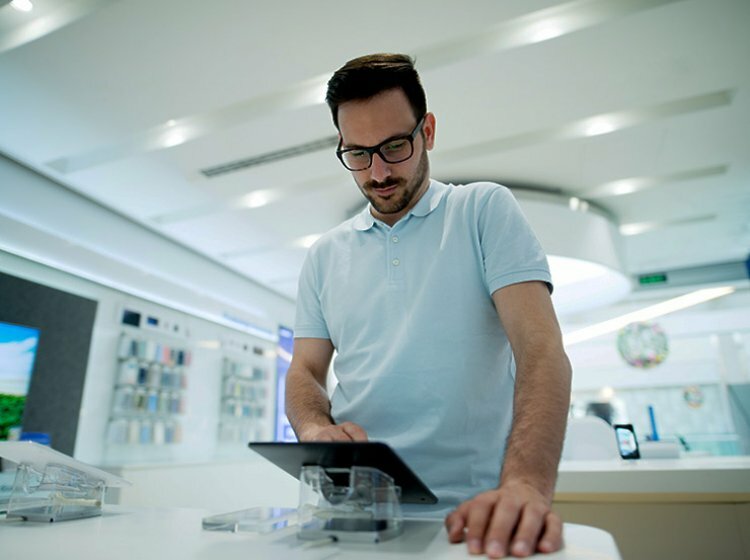 Q‑nomy's interactive display system for managing kiosk applications like digital catalogs, product information and self-service in the telecom store. Q‑nomy's digital signage system for presenting information and advertising to customers in the telecom store. Agent sale-tips, presenting recommendations for conveying promotional messages to customer during interaction based on identified customer profile or analysis of prior activity in the telecom store.